Naruto to Boruto: Shinobi Striker will take the fight online like never before in fast-paced, acrobatic and epic 4 vs 4 ninja battles. 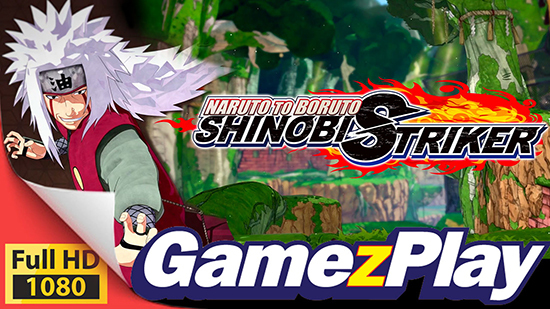 Players can play as their favourite Naruto characters, or create their own custom fighters, as they compete against other teams to become the greatest ninjas across the globe. Additionally, in the newly-unveiled competitively ranked Ninja League, players will be able to compete against fellow Shinobi online to climb the global rankings, with the first round taking place from 31st August to 20th September, 2018. Winning matches online will earn players Grade Points that will be needed to climb the ranks in the online ninja world. Whilst only winning fighters will gain points, a loss will mean losing points. Depending on players’ win to loss ratio, they will either be promoted up or drop down in the rankings. However, performing certain actions or contributing in other ways in matches will also earn players extra Grade Points. Grades start from D, C, B, A, and go all the way up to S. Within each grade there are a further five sub classes, from 5 to 1. At the end of each Ninja League, players will receive a reward based on their final standing, as well as all rewards from the ranks below too. The Grade A and S rewards will be exclusive new costumes.